I have been waiting to review this product for weeks! I.LOVE.IT. This is my favorite new product in ages. Benefit makes such fun things. I have tried a lot of their stuff. I got turned onto this product after reading an article in a magazine. 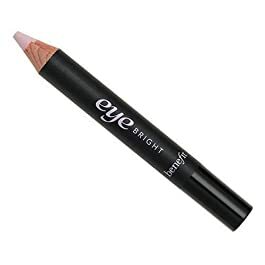 It said if you line your inner eyelids with this light pink eyeliner, it makes you look healthier, more rested, more awake. I thought it was probably all BS, but I tried it the next time I went to Sephora, and could not stop thinking about it days later. I loved the results. 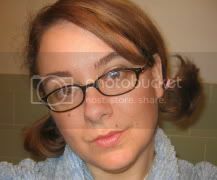 It really did make my bloodshot tired old full time working mom eyes look whiter and healthier. I have worn it every single day since I bought it weeks ago. You can buy it here. Let me know what you think! Did you like it as much as I did? Next up...dying to try Colossal Mascara. It is getting very mixed reviews. I'm a fan of Benefit's Lemon Aid and Boing, but haven't tried the Eye Bright. I might give it a whirl. Sephora just sent an Insider's email for some full sized gift with an order, so you just made it easier!